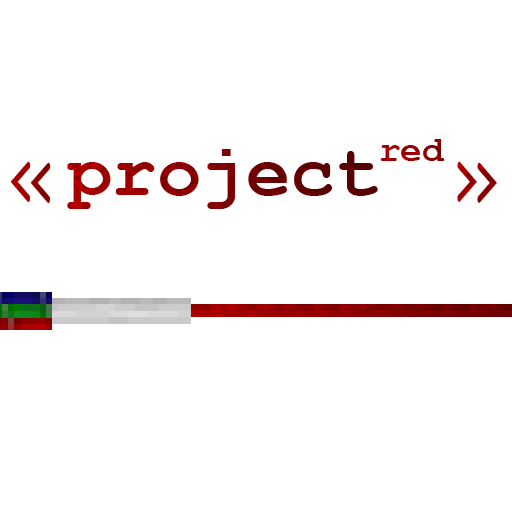 [16:01:52] [Server thread/INFO]: [CHAT] ProjectRed 4.8.1 available. But for 1.7.10 there is not the version at all? I installed everything but i can't find covers nor panels anywhere, even with NEI or JEI. Were they removed? You can't find it because it's hidden, but you still can make them! just put a saw with a block belloy it in crafting! when will you release the latest update that fixes the startup crash when you install some mods with it? Wondering this myself. I want to add the betweenlands to my pack, but can't because this mod has some issues with it. I'm probably going to start looking at replacing this mod in my pack and declare it dead (github information seems to reflect this). Just wondering, in a large area where players are a good distance from each other, but want to share a storage system, it takes forever for items requested to get to your chest. Is there a way to increase the speed? I have tried adding response chips in-between, but that does nothing... Also is their a Project Red discord? ProjectRed Core is missing mods it depends on. Include the following mods or remove ProjectRed Core. See fml-client-latest.log for technical information. I have minecraft 1.11.2 and installed the newest version of Forge and MrTJP Core. I'm not one of the developers, I am just linking the issue here. I'm having an issue where Project Red blocks (gates and wire) placed into the world will disappear (they're not invisible. They stop existing) sometimes when they are placed in a chunk with blocks from other mods (Buildcraft, Computercraft, and/or Better With Mods) and then the chunks are loaded/reloaded (e.g. by teleporting far away and then teleporting back). It affects pretty much every block I've used from Project Red, which includes the AND gate, Counter, Timer, and Toggle latch. It only affects PR blocks that are in the same chunk with blocks from Buildcraft, Computercraft, and/or Better With Mods. So far, I have not been able to figure out if the issue is just Buildcraft, just Better With Mods, just Computercraft, or some combination of them. This happens on a multiplayer server. So far, I have not been able to reproduce it in single player. Running Minecraft 1.12.2, Forge 14.23.4.2707, I have the latest versions of the 3 PR dependencies (Forge Multipart 2.4.2.60, CodeChickenLib 3.2.0.345, MrTJPCore 2.1.3.35), Project Red 4.9.1.92 Base, Compat, Fabrication, Integration, and Lighting. Buildcraft 7.99.17, Better With Mods 2.1.24, Computercraft 1.80. Also running a handful of other mods; I can list them if you need me to. It has been driving us CRAZY and we have yet to figure out any leads. Can confirm the issue. Placed down redstone items (Alloy Wires, gates, etc.) disappear after a while on my 1.12.2 server. The missing blocks sometimes reappear, and sometimes others vanish. It seems random which ones will appear and which won't. I can't deduce any pattern to it. I thought it had to do with being near other mod blocks, but I've had it occur in chunks that had only vanilla and Project Red blocks. I can't seem to deliberately make it happen, either. i've got the same problem !! really hoping on a fix for this, it's super annoying. love this mod to death and this nearly kills it, especially on servers (where this seems to happen more often). That is I nice thing to see, this mod was a freaking awesome thing. It require Forge Mult Part, that still in 1.7? The requirements are linked in the file section also.